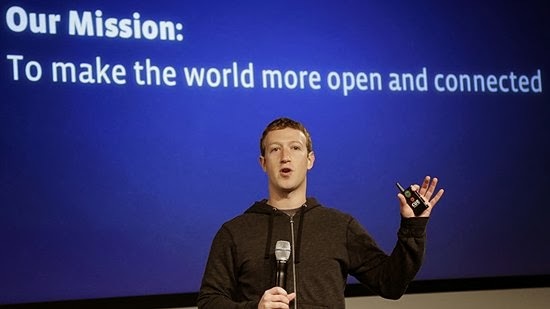 Facebook's CEO Mark Zuckerberg has recently revealed an ambitious plan during Mobile World Conference (MWC14) in Barcelona, to provide free internet access to the entire world especially to the third world countries. Facebook wants to invest in basic internet access for everyone. This is a part of Mark Zuckerberg's vision of Internet.org. The goal is to provide free basic internet access like search, facebook and weather report etc. However, access to other services like video streaming will be provided later on for very economically charges or might also be free. Facebook has already partnered with various mobile carriers including Telenor Pakistan to provide social network free on mobile. 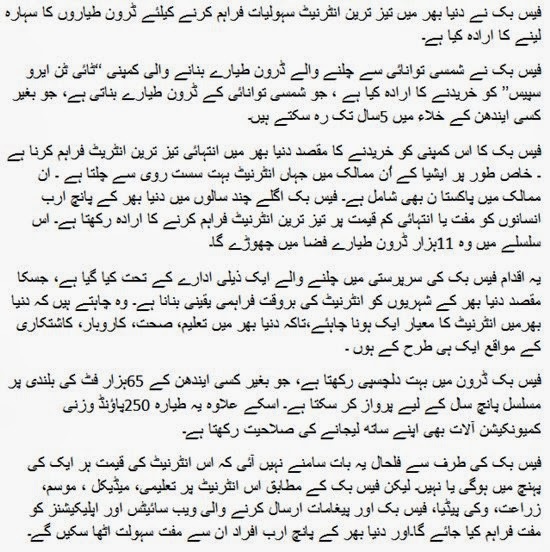 Below is given details about this plan in Urdu. Also watch video of Facebook's CEO about this plan. Watch below video, in which Mark Zuckerberg is giving presentation about his plan at MWC2014.